If you are looking for a ferry to Ireland, then you've come to the right place. 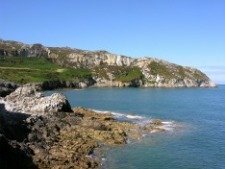 The port of Holyhead on Anglesey is an ideal place to catch a fast ferry to Ireland. The Holyhead Dublin ferry is convenient because you can be in the Irish capital within 120 minutes or so. Did you say 100 minutes? Yes, that's right. 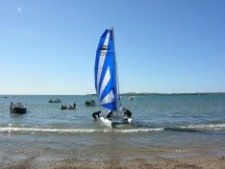 You have a choice of fast ferry from Holyhead which either takes you to Dublin City or to Dun Laoghaire harbour, a few miles south of the capital. Or you can take a bigger ship - some call it a superferry, others a cruise ferry. The bigger ship takes between 3 1/4 and 3 1/2 hours for the crossing. 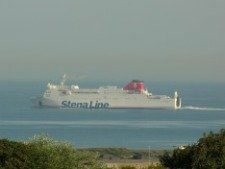 Top Travel Tips for the Holyhead Dublin Ferry, to get your Ireland holiday off to a great start. Over the years I have travelled this route on ferries of different shapes and sizes, some good and others not so good. Every journey though was exciting in its own way, as there is much to see from the ship as you cross the Irish Sea. 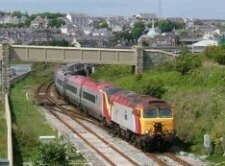 If you are arriving in Holyhead by rail, it couldn't be simpler. As soon as you get off the train, just follow the signs for the ferry terminal. It's as easy as 1-2-3! By road, you will most likely enter Holyhead on the main truck route, the A55. At the main traffic lights at the bridge, you take the right turning, cross the bridge and slip into the left hand lane. Take this left turn and go straight across the roundabout. And you're there! For the Stenaline ferries these times are valid until 5 January 2011, while there is no date specified for Irish Ferries. Superferry crossing times are 3 hours 15 minutesFast ferry crossings take between 109 and 120 minutes (Jonathan Swift, Irish Ferries) and 120 minutes (Stena HSS Explorer). These times are slower than previously and this is due to the companies taking a decision to slow down the crossing time to save fuel. 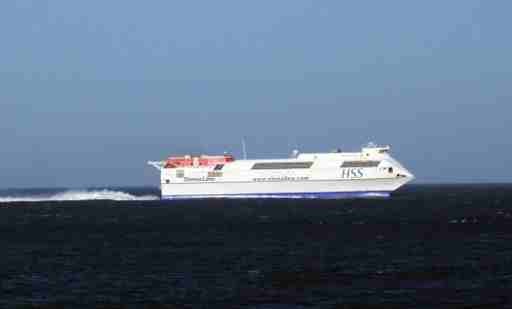 This is a recent addition to the Stena Line fleet. Please note that on Sundays it leaves Holyhead at 20.30 hrs. The Stena Nordica does not carry foot passengers. There is a second fast ferry which replaces the HSS Stena Explorer from 15 September to 31 December (no sailings on 25, 26 December). On the Stena Express, a smaller fastcraft, there is a maximum weight restriction of 3 tons and height limit of 3 metres. hire car to help make your onward journey more comfortable. One top tip is to book early if it all possible at least 28 days in advance. 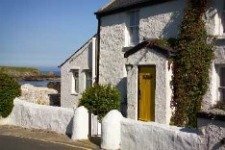 The ferry companies will offer discounts if you plan ahead. Also remember that they have a no smoking policy onboard, though it is possible to go on deck if you want to smoke. Always look out for special rates for family packages and for certain sailings. You should note that there is a £2 fuel surcharge per adult travelling on these routes. And a nice bonus for cyclists is that your bicycle goes FREE! We hope you find the right ferry to Ireland for your plans, whether for business or pleasure.